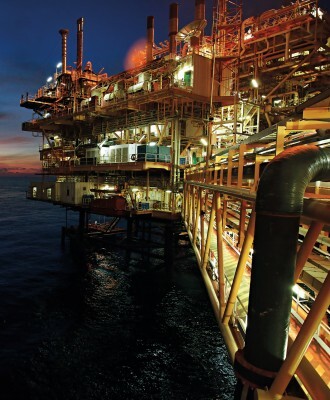 PwC recently published its annual Africa Oil and Gas Review entitled ‘Learning to Leapfrog’. It factors in the views of oil and gas industry participants operating in Africa and includes the experiences of international oil companies, national oil companies, oilfield service companies, independent oil companies and other industry stakeholders, to shed light on the key challenges and opportunities facing the sector. Here, we would like to share some of the highlights and findings of the review. Despite challenges, Africa continues to offer abundant opportunities to explore for hydrocarbons in a frontier market. New hydrocarbon provinces are popping up regularly; Mauritania and Senegal are good examples of countries where hydrocarbons have recently been discovered. To date, the African oil and gas industry continues to play catch-up with the rest of the world. But what if there is another way? What if African oil and gas companies could sidestep the competition by doing things differently? There are new technologies that can enable a profound transformation to the way operations and business are conducted in the industry. African oil and gas companies should be ‘learning to leapfrog’. Challenges will persist but given new technologies and ways of working, companies could learn to leap over them rather than going through them. Take, for example, the lack of infrastructure that plagues the industry in Africa. If there are no roads to get parts and equipment to remote work sites, why not utilise drones? Imagine when the need for a small replacement is produced by 3D printers and delivered to a drilling location via a drone—reducing downtime to a fraction of what it would have been with traditional sourcing strategies. Just like the rest of the world, the oil and gas industry in Africa continues to face market challenges arising from the low oil price, competition for revenue growth and local talent together with new expectations from investors and regulators. 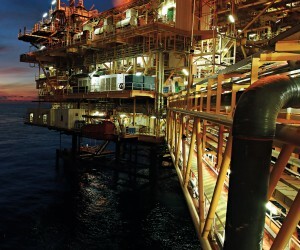 Africa’s oil and gas industry is also experiencing significant change and upheaval. There are fundamental shifts in companies’ strategies, business models and ways of working. The sustained lower price of oil has been accepted as the new normal in the oil and gas industry, with companies putting plans in place to enable a more agile response to commodity price fluctuations in the future. For some, this means a diversification of portfolio, with many considering moves to an energy mix that includes some form of renewables. As at the end of 2016, Africa is reported to have had proven natural gas reserves of 503.3 trillion cubic feet (TcF), up 1% in total gas reserves (year-on-year) on the continent. About 90% of African gas production continues to come from Algeria, Nigeria, Egypt and Libya although the overall quantity produced in 2016 reduced by 1.1% down to 208.3bcm when compared to 2015. The top challenges in the oil and gas industry have remained similar to those in previous years with uncertain regulatory frameworks, corruption and tax requirements remaining in the top six for the past four years. It is notable that financing costs and foreign currency volatility have both become the more critical challenges since 2015 when they were ranked 11th and 10th respectively. It is disheartening to see that governments are not catching up to demands and calls from oil and gas companies to ensure regulatory certainty to players who are looking to invest in hydrocarbon plays in various African countries. For the fourth year running, uncertain regulatory frameworks were found to be the top challenge cited by African oil and gas players trying to do business on the continent. Upstream regulation in South Africa remains uncertain, with the separation of oil and gas from mining still not achieved in the Mineral and Petroleum Resources Development Act (MPRDA). Other key markets in Africa, such as Nigeria and Tanzania, also continue to experience significant regulatory issues. Corruption has remained among the top three challenges over the last four years, with numerous instances occurring across the continent. Despite the existence of anti-corruption programmes at government and corporate levels, the effectiveness of such programmes is questionable. In the context of corruption issues, it is not surprising that the costs of finance have risen to third among major challenges for African players. It is likely that the regional issues and uncertainties combined with a constrained wider industry have led banks and other institutions to be wary of offering favourable financing terms in this dubious market. The lack of skills development continues to be a problem in Africa as well, and it is becoming a global challenge in the oil and gas industry overall. Aside from those challenges highlighted by companies, adjusting to the new normal of lower oil prices remains a concern for companies. The oil price has been relatively ‘stable’ through 2017. Having recovered since the January 2016 low, it has typically been trading in the US$50-60/bbl range. As the Brent oil price reached close to US$60/bbl in September 2017, the market began asking whether ‘lower for longer’ may be over. The demand for oil is picking up and supply is easing off, suggesting a market rebalancing is underway. However, as we have often seen with global oil prices, nothing is ever certain. Oil and gas companies also cited geopolitics, supply and demand as the three major reasons for the current oil price environment. Looking ahead, respondents expect modest increases in prices over the next two years—with 65% and 52% expecting the price to be in the US$51-60/bbl range for 2018 and 2019 respectively. The trouble is that none of us have crystal balls with an accurate depiction of the future. Most companies have decided not to ramp up in the headcount but rather to embrace operational excellence, doing more with less. In order to do this well, they must embrace new and disruptive technology. With new technology comes vulnerability. This emphasises the need to pay attention and do something about cybersecurity. The threat is real. Cybersecurity must become a matter of national security and pretending that it does not exist or threaten your organisation is a sure-fire way to get your fingers burned. The more we embrace new technology, the more critical cybersecurity will become. In pursuit of optimisation, many oil and gas companies are looking to alter their strategies and operating models, which has changed the competitive landscape. Companies reported that major changes anticipated or recently experienced in the competitive environment are driven by the growth in alternative fuels, the impact of technology-driven disruption and the need for cost reduction. Are oil and gas companies Fit for Growth? Oil and gas companies cited ‘too little investment in developing capabilities’ as the most significant impediment to business growth. This was followed by weak strategy and leadership. Seventy-five percent of respondents say that they have reviewed their Africa strategy in the last three years but they also acknowledge that there are issues with incoherence and a problem with executing it in their day-to-day business. We believe that investment in capabilities that enable the organisation to create unique value for customers is key for sustainable growth. Survey respondents also indicated that they are investing in the development of new or the enhancement of existing capabilities (18%), local content and skills development (14%), infrastructure improvements (13%) and regulatory compliance (12%) over the next three years. It is notable that cost management as a strategic focus has fallen in importance this year. One-third of respondents indicated that they had no cost-cutting intentions. Just under half of the respondents intend to reduce costs by up to 20%. The need to strategically assess the portfolio of activities that oil and gas companies in Africa pursue in order to be sustainable in the drive towards a low-carbon environment is necessary. The review results indicate that M&A and partnerships are key to delivering the intended and repositioned strategies and growth. The minority of respondents were related to an M&A proposition to drive growth, with approximately 30% of respondents being targeted for acquisition and about 40% having targeted an entity themselves. The majority of respondents referred to a partnership proposition with nearly 60% having both been approached or approaching another entity for partnership. While some oil and gas companies continue to explore opportunities for cost reduction and improved efficiency, consideration is now being given to how they will stay ahead of the competition. Given the perception of the slow uptake of digital solutions in the oil and gas industry, it is surprising that nearly a quarter of the companies stated that they had implemented some form of a digital solution, from production and drilling to mobile solutions. More than 25% of oil and gas companies said that projects had been postponed or delayed by local content policies and about 15% have relocated or cancelled projects in response to local regulations. One-third of respondents think that there are more local companies today that can serve the sector and just under one-third acknowledge that local skills at the right level are available in their country with 11% saying that new players have emerged upstream as a result of the regulations. The oil and gas industry in Africa is riddled with complex challenges and adversity but with challenge comes opportunity. The opportunity is there for players who are willing to ‘reimagine the possible’ in a future that looks very different to our present. The future of energy as we know it is changing. The dramatic oil price shift at the end of 2014 marked a significant shift and shows that change can happen at any time. As Steve Jobs, former CEO of Apple, said, “the mark of an innovative company is not only that it comes up with new ideas first, but also that it knows how to leapfrog when it finds itself behind”. It is evident that African oil players must ‘learn to leapfrog’ to remain competitive in the new energy future.